When a pet has an emergency situation arise that could cause them distress or harm to their health, getting treatment from a veterinarian promptly is a must. Contacting Ashworth Road Animal Hospital is an option if you live in the vicinity of West Des Moines, Windsor Heights, Urbandale or Clive. Here is some information about how to handle an emergency and how our practice provides emergency pet care when needed. There are several reasons why a pet would require a trip to a veterinarian to be assessed immediately. If your pet ingests a foreign substance or chemical, it is imperative that a vet is seen as a fatality could occur if the agent is considered poisonous. 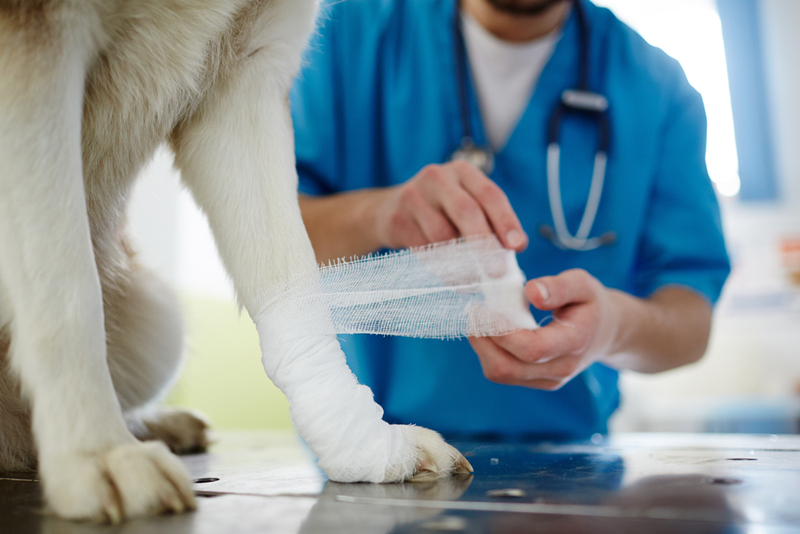 If your pet is hit by a vehicle or has a similar traumatic experience, a trip to our emergency veterinarian is necessary to help mend their body as needed. Other common emergencies include reactions to medication or difficulty after a surgical procedure is conducted. If your pet appears to be in pain or discomfort, or if they display behavioral changes, call our veterinarian for an assessment. If you believe your pet's health is at stake or their life is in danger, contact our Veterinarian to alert our practice you are going to be bringing your pet in for an evaluation if possible. This will give our staff members time to prepare for the arrival of your pet so they can be seen right away. Try to remain calm as your pet will sense any anxiety you have about their condition. This could cause your pet further distress. Talk to your pet on the way to our facility to help them remain calm. When you bring your pet to our veterinarian for an assessment, they will bring your pet to a room away from activity to help them remain calm. They will do a complete evaluation of their medical condition and make recommendations regarding treatment to help them get better. Our veterinary staff is trained to handle emergencies and are ready to jump into action when an emergency case arrives at our facility. Call Ashworth Road Animal Hospital Today! If your pet is in need of emergency care, call Ashworth Road Animal Hospital so they receive treatment immediately. We service the Urbandale, Clive, West Des Moines, and Windsor Heights areas. Do not risk waiting for treatment if your pet is in pain or distress. Call (515) 225-1807 today to find out more about our practice.